Reading saves lives. How, you ask? Because reading, bringing in different perspectives, allowing other points of view to broaden your own, can push you to dream bigger, push harder and never give up. Learning can take you to the life you always dreamed of and connect the dots from where you are to where you want to be. Freelancers, more than anyone else, need to reach out and use the resources that could just be a chapter away. 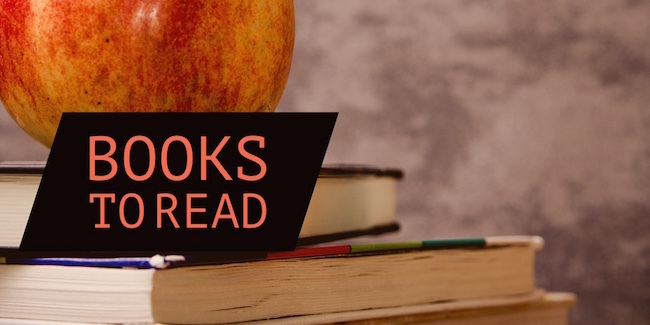 Start with these 7 books and tell us which ones you would add to this list. If you pictured your ideal life, what would it look like? How different is it from your life right now? “This life of abundance is something you get to define for yourself,” writes motivational speaker Lisa Nichols. Get inspired with this journey from a life of brokenness to a life of possibility. We all have big dreams; that’s nothing new. But it’s easy to let our big dreams slide and be replaced with logical, number-driven thinking. Take back the creative thinking in life—which includes failure. Learn how to bring creativity into your work again. Ryan Holiday has certainly lead a life to be envious of. Since the ripe age of 22, the young entrepreneur advised everyone from rock stars to best-selling authors in media strategy. In his latest book, he addresses the dangers of early success and allowing your ego to stunt true growth. This step-by-step guide to negotiating is based on Harvard-trained conflict expert Daniel Shapiro’s 20 years of research in the field. Take back control of the conversation with this science-packed, easy-to-read guide. Amy Cuddy’s viral TED Talk, “How Your Body Language Shapes Who You Are” has been viewed nearly 30 million times. This book is the long version of that talk, where Cuddy dives into body image and the importance of how we present ourselves to others. Psychologist and Steve Levinson and executive coach Chris Cooper team up to show you how your inner resistance is really what’s stopping you from getting things done. Don’t let this info-packed read pass you by. School is never over for the successful. If you want to take your business to the next level or even just run it more efficiently so you can take more time off, these books will help.